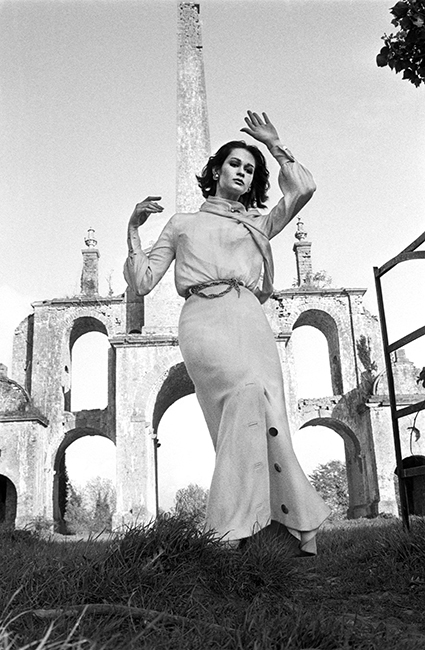 Marie Lise Gres posing in front of Conolly’s Folly in County Kildare, Ireland. Duffy did this shoot for Vogue in 1962 at a time where the monument was dilapidated and becoming ruins before the obelisk was restored in 1965. Quote ref: E_766_15 if you require press information regarding this image.